DARKE COUNTY – Who do you think is the BEST of the BEST? The 14th annual Daily Advocate Readers’ Choice contest is underway, and it’s up to you to vote for who you think are the best businesses and professionals. 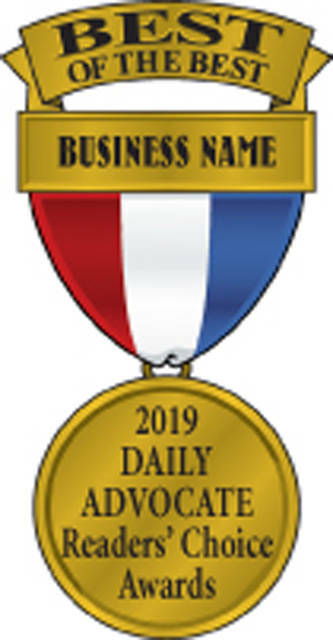 In order to find “the best” we are asking readers to vote in more than 100 categories by either filling out a written ballot available in today’s edition or online on our website, dailyadvocate.com. You can vote in categories ranging from your favorite accountant to your favorite mattress store. Popular are the food categories in which you can vote for your favorite breakfast, hamburger, chicken, coffee, winery, desserts, fast food, Chinese, Italian or Mexican restaurants, pizza, steak, subs, wings and more! In addition, we want to know who your favorite professionals are. Who do you think is doing their best job? There are voting categories for your favorite teachers, principal, doctors, bank teller, bartender, salesperson, nurse, real estate agent and waiter/waitress and more! All ballots must have at least 50 percent of the categories complete to be counted. All category entries should be for businesses located in Darke County. Newspaper ballots must be dropped off or mailed to The Daily Advocate, 428 S. Broadway, Greenville, OH 45331 by 5 p.m. Feb. 15. Online voting will be accepted from Jan. 31-Feb. 15. The top three winners in each category will be revealed in a special edition magazine. Vote today and tell us who you think are the “best” in the county!